The London Plan is of increasing significance to many of our clients, especially since the new zero carbon requirements came into effect in October 2016. Planning applications across all 33 London Boroughs face much more stringent sustainability requirements than the rest of the UK. Applicants must demonstrate consideration for a raft of energy and sustainability measures including decentralised energy networks, renewables water use and ecology. We spend a lot of time writing energy statements and many of these are for London schemes. The London Plan is the overall strategic plan for the Greater London Authority (GLA), and it sets out a fully integrated economic, environmental, transport and social framework for the development of the capital to 2031. So it’s the environmental framework we are really concerned with here. London boroughs will also set out their own local plans and policies, but they will generally follow the GLA structure – so despite some localised nuances, we know what the requirements generally will be. We suggest London clients take a look at our other £9,000 per plot and London going Zero Carbon blogs. CO2 is measured and demonstrated by figures within your usual SAP Calculations or SBEM Calculations. 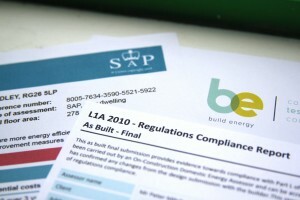 Schemes may also need to achieve minimum performance within a BREEAM assessment, depending on the proposed usage. Due to the recent introduction of the NPPF (National Planning Policy Framework), local councils are now obligated to encourage development, if sustainable. Councils are also free to set their own measures of sustainability and so the already established London Plan is being replicated all over the UK. Generally councils will set an extra CO2 reduction target of somewhere between 10-20% which will usually apply for minor developments if in a London borough (up to 9 units). 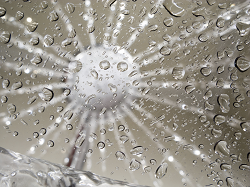 Some councils will set other objectives in addition to an energy Statement – for instance Bristol City Council requires all planning applications to include water reporting within the a broader sustainability statement, demonstrating that any surface water or flood risks are being mitigated. Even within London, different boroughs will require different things. 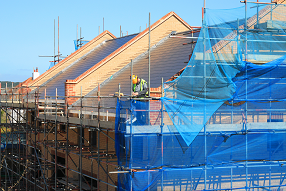 The London Borough of Ealing for example has developed an especially forward thinking planning policy and as well as the usual energy statement, now require post construction monitoring. The onus is therefore on the developer to ensure all that of those impressive CO2 figures are actually delivered on completion. Donna Skordili is Sustainability officer for Ealing Borough. “Monitoring should be an important aspect of all planning policies, as reliance on modelling software tools to calculate the energy demand of a building/development is not enough. Whilst all accredited energy performance modelling tools continue to evolve, it is generally acknowledged that they have limitations”. Ealing Borough have implemented an independent, automated platform from Energence Ltd.
Donna told BE, “We needed a solution which would be cost-effective to applicants/developers, would not create additional workload to Council officers and would provide us with the actual monitoring results. The system we have developed allows us to track and confirm compliance with our energy policies, and it will establish an evidence base about the performance of renewable technologies based on different development types in the borough”. 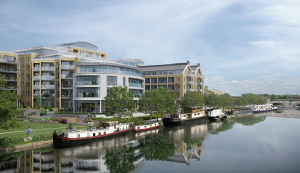 Ealing developments will need to monitor any renewable and low carbon energy generation proposed for a period of 3 years. The developer may use a pre-selected service provider to do this, where a minimal contribution will be secured through S106 legal agreement. Alternatively the client may install independent equipment where monitoring data is sent to the Council’s provider on a daily basis. In this case the applicant pays a fee directly to the Council’s provider for handling the data. Most developers are used to providing Part L assessments for building regs compliance. In the case of a current London Plan application, we will be using Part L calcs a little earlier in the process to demonstrate not only that baseline performance, but also how the developer is going to reach the CO2 reduction target. 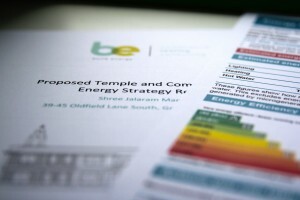 The Sustainability Report will need to detail an energy strategy – this is a detailed document demonstrating how the scheme will meet the Lean, Clean Green hierarchy. This includes a feasibility study of renewable technologies and how the scheme might make use of existing centralised heat and power networks, or provide new hubs for future networks. Combined Heat and Power (CHP) units are encouraged and form a core part of the London Plan strategy, allowing future developments to ‘plug in’ and share generation locally. As well as energy performance, the London Plan sets wider sustainability priorities and best practice within its Sustainable Design and Construction SPG. This document provides guidance for developers around issues such as flood risk, materials, air quality, overheating and waste. The particular requirements of each site will vary and you may be required to provide detailed reports within any of these areas. For example, an overheating analysis is now required for all major applications in London. This requires the building of a detailed 3D simulation model – no small undertaking at such an early stage of the process so it’s worth budgeting for as early as possible. As with any development, we can only repeat our usual mantra – “start early”. 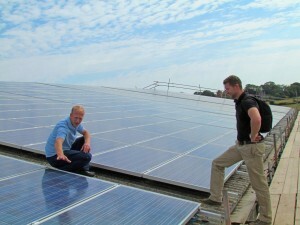 We are often drafted in at the last moment (usually a few days before a deadline) to produce an energy strategy. This is a recipe for a bad experience on all sides. Get advice from your planning officer early in the design stage – ask for a pre-app meeting and a letter detailing their requirements, outlining exactly what you should be delivering with your planning application. This de-risks the whole process and can save weeks of resubmissions. Even if you do not have pre application advice, a good independent assessor will be able to explore your local planning requirements and find out exactly what they need, ideally prior to pricing the work. If we can help with your London Plan application please get in touch – Good Luck!